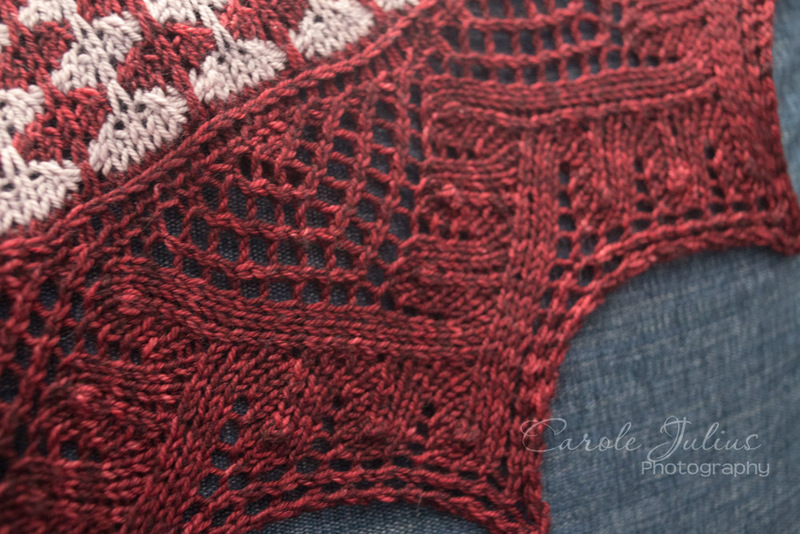 Way back in August I cast on for the Cactus Flower Shawl. 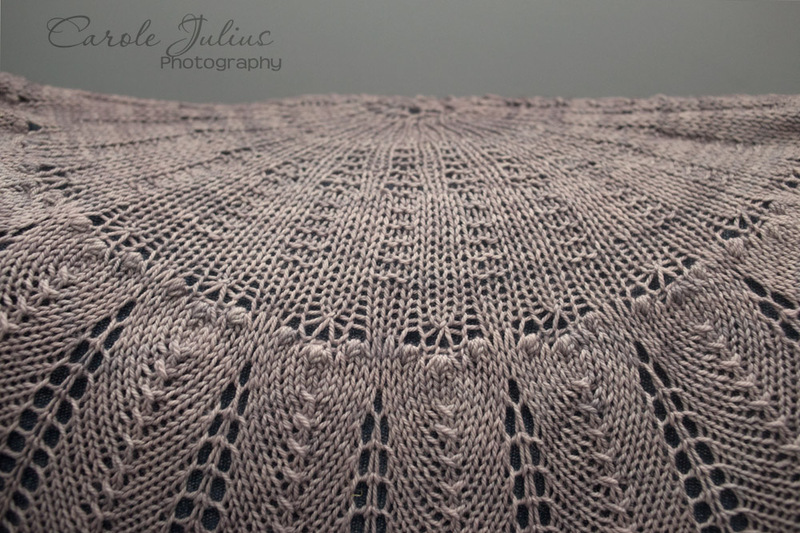 I worked on it a lot on vacation and I enjoyed knitting it so much. 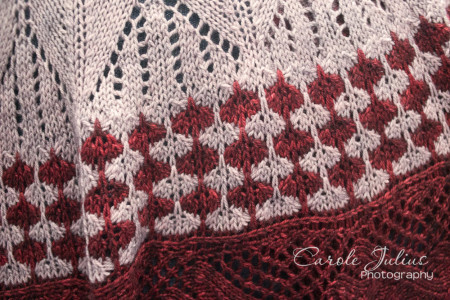 The pattern is challenging but highly entertaining and intuitive and, while complex, was very fun to knit. Once I finished it, though, it languished. I think I finally blocked it in December and then still, it languished. No photos, no showing off, nothing. 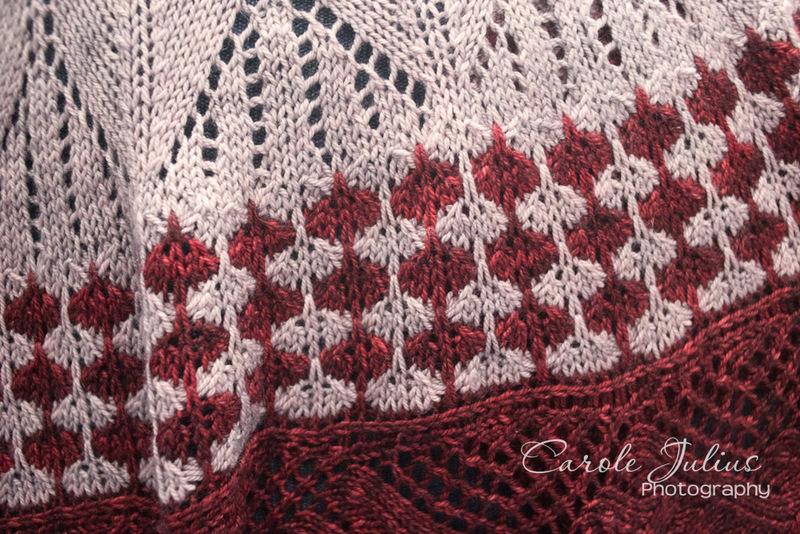 This is certainly not typical behavior for me – generally I’m all about getting a project blocked, photographed, and worn as soon as it falls off the needles. Last week I figured out why this had happened. This shawl, you see, was not mine. I realized – finally – that all along it’s been meant for my friend Lois. The colors are perfect for her. The yarn is incredible. And it is the perfect 70th birthday present for the woman who never says no to anything I ask. I gave it to her the other night and she exclaimed and ooohed and aaaahed over and eventually declared it the best birthday ever. I’m so glad I waited until this shawl told me that it belonged to Lois. I just love it when stuff like this works out so perfectly. It is BEAUTIFUL. You found a perfect home for it. It is lovely. I can only assume that since it told you it belonged to Lois, she is also lovely. I’m sure she has a pretty great friend. Lucky Lois! 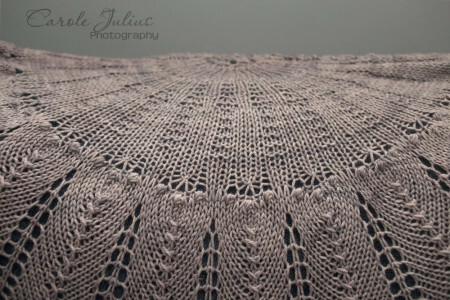 The shawl is beautiful and I’m sure she’ll have wonderful thoughts of you each time she wears it! Lucky Lois to be the recipient of this beautiful Cactus Flower! Finally her beauty unfolds! 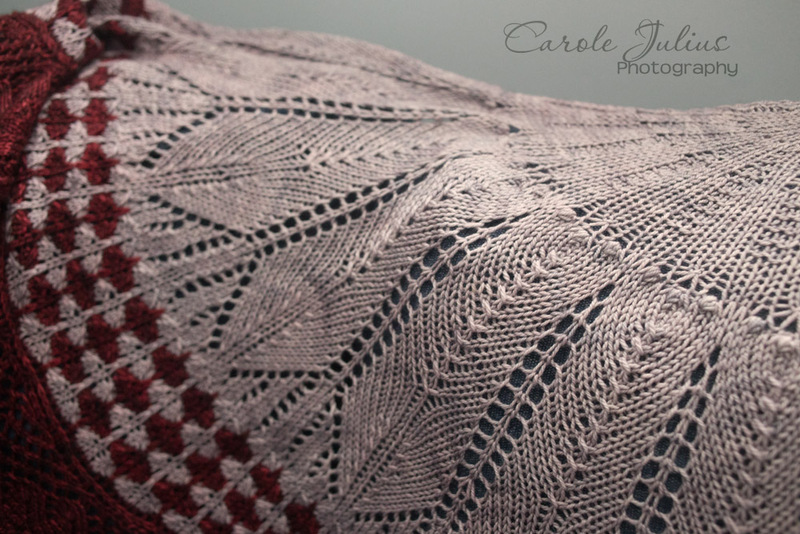 Lois is a worthy friend and the shawl is a wonderful homage to a special birthday. Wear it will, Lois. 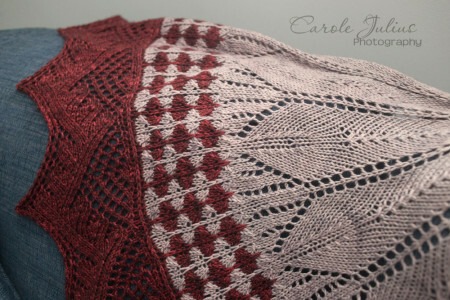 Beautiful work, Carole! I love when the yarn speaks to you – even after it’s a completed project! It came out great. I’m sure Lois is in love with it! Beautiful! What a nice friend you are. Gorgeous! Happy Birthday to Lois! 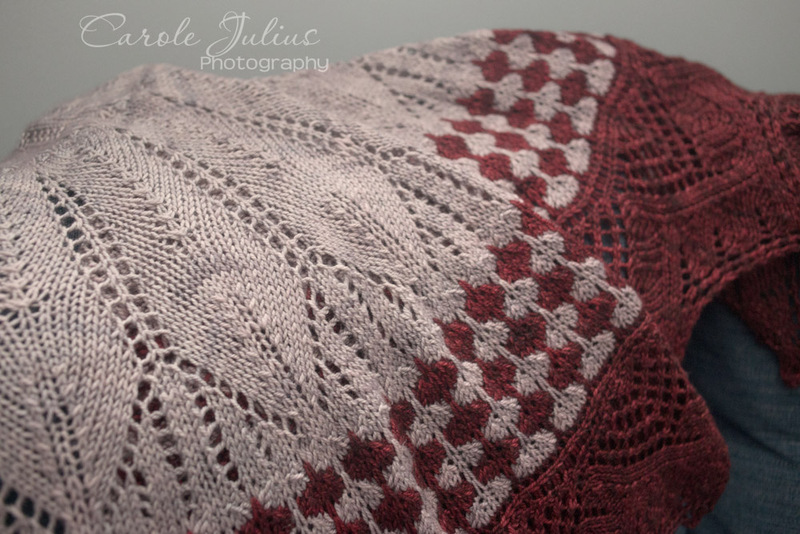 The workmanship is beautiful, the finishing exquisite, and the colors divine…but, you are correct in saying that it’s Lois’s shawl. What a memorable and wearable gift! Finding the perfect home for a knit. Nicely done. 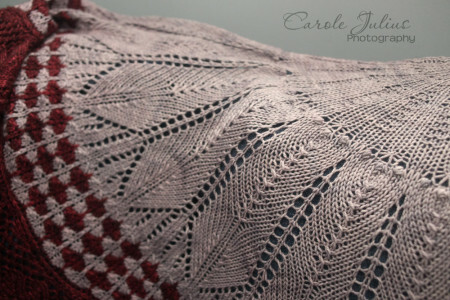 That is one lucky shawl, it now has the perfect owner/wearer! 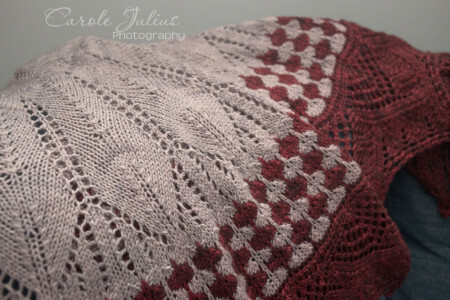 it is beautiful…and I’m sure it will be worn with love now that it’s found its proper home!